I managed a couple of hours prancing through op shops on Friday (wearing a baby in a backpack, only slightly inhibits prancing) and GUESS WHAT I FOUND?!?! Now I don't expect the fellas (hi, you two) or a non-sewer to get this really. But my sewing girls? Check it, an old timing Singer overlocker. $40. Working order. Sweet! 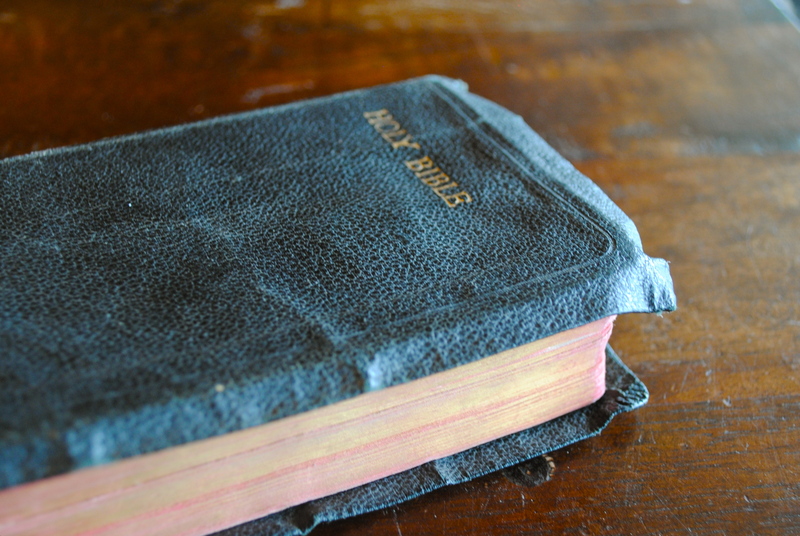 It's not just any bible. It's a very very old leather-bound King James. Very exciting. I've never actually read a King James version but it's super historically interesting to me (dork alert, did you forget whose blog you were reading?!) It's gorgeous, I tell you. And it was from the Salvation Army, who give away bibles, so it was free! Also this, for 20 cents. It looks so much like Oliver + S, right? I got excited until I realised I'd done my money on a pattern for a doll's wardrobe. Der. 'Cept it had this very sweet headscarf, which Tilly spied and begged for. In other news, we are almost out of water. I say this lightly, because I'm a light-hearted kind of girl, but it's actually quite serious. We are on tank water and the tank is running almost dry. 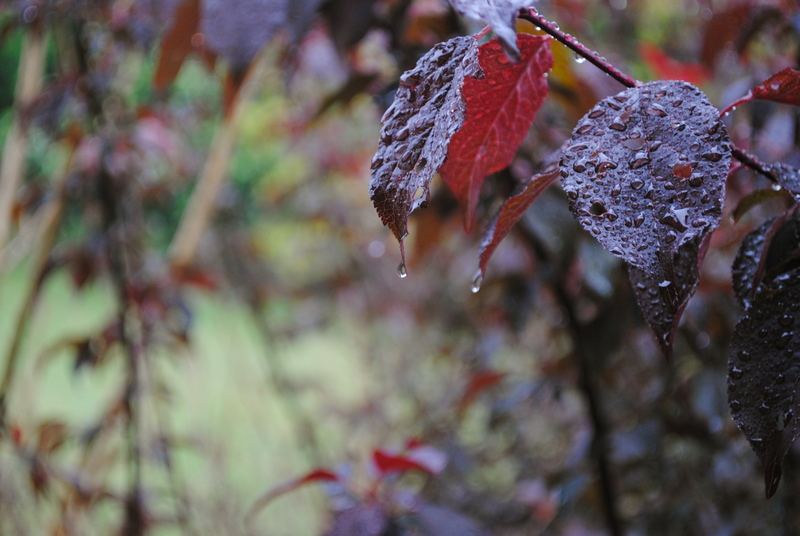 The good news is, it rained all weekend. Back to the search for the sewing machine. 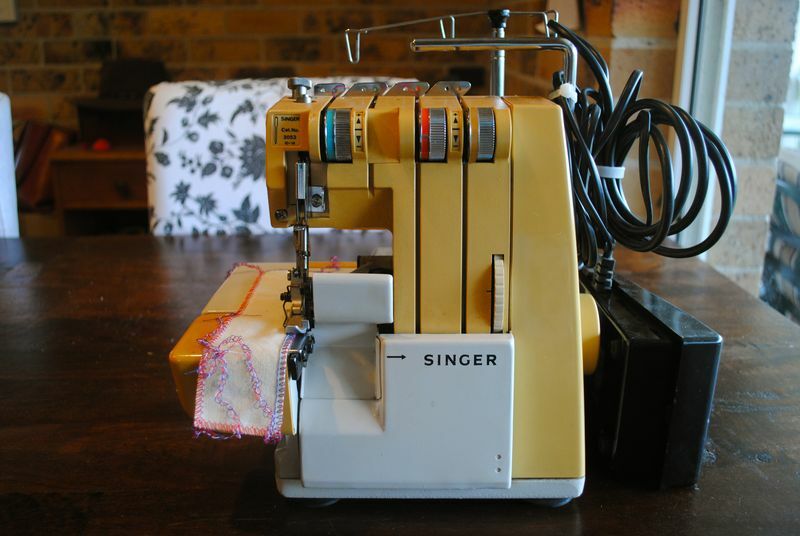 Ooooh, sewing machine & pattern heaven- enjoy! Good. Things with me are good. Thanks. 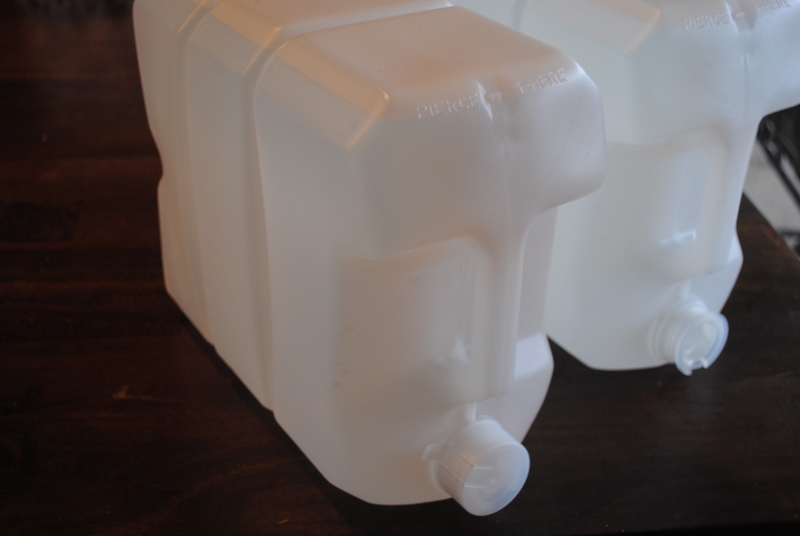 I hope it rains enough to keep you from buying more water. That is the kind of thing that stresses me no end. EEEEEEEEEEEK!!!!! Awesome overlocker! That is a fabulous find. The manual is bound to be on the web – we found my old singer manual on the web. And it will be as sturdy and sensible and efficient as! 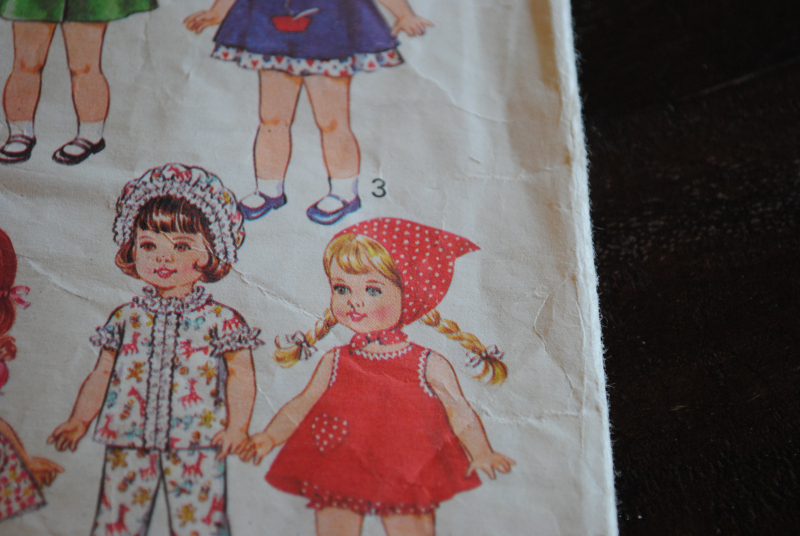 And we have the exact same doll’s pattern – it does look like Oliver & S doesn’t it 😉 My mum made my dolls heaps of little dresses and bloomers – and a head scarf – from that pattern in the mid 1970s – including a little Austrian version of view 2 for my walking doll when she went to the school fair and entered the dressed doll competition – I was Sound of Music obsessed and view 2 looked like Gretel. So sorry to hear about the water – hmph. Here’s to some good drenching spring rain! We’re on the water watch too. We had a visit from the water carter the other day and I am just praying it will rain this week – it has totally tipped me over the edge…particularly after the planting of the forest! Good shopping. 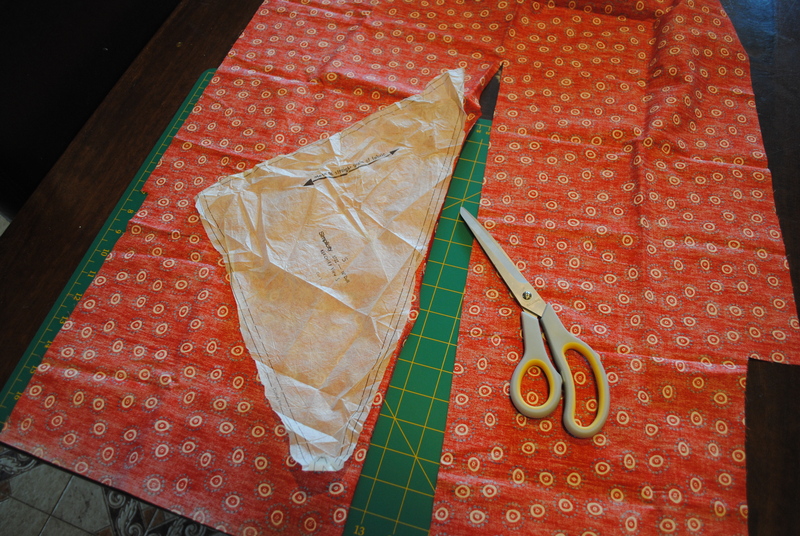 Tip – I scored an overlocker from an op-shop a while back (not a Singer though!) and emailed the company saying someone had given it to me but they’d lost the instructions. They emailed it to me the next day. Good luck. Score on the overlocker!! That pattern does look very Oliver & S ish too! Very cute. Glad you got some rain. It has been dry here where I am too, but folks around here are still a bit freaked out about rain, so anything to empty the dams out before summer is good, kind of. I’m enjoying school holidays, crocheting,cooking and getting some reading in before we get back to the insanity that is a school morning next week. Don’t you love a good op shop bargain? I’m sure you will put the machine to very good use. We found an old Singer treadle machine (the ones from the 1950s fixed in the cupboard) put out for council clean up. I am going to have it fixed up for my daughter. I love the link to Oliver+s! What a cute site – my daughter would love that stuff. Thanks heaps. Awesome. I so get every purchase. I recently bought a pattern, fabric, ribbon, zipper, hook&eye, bias binding and cotton for a dress for Jules at Spotlight… $60!! She better wear it is all I can say. 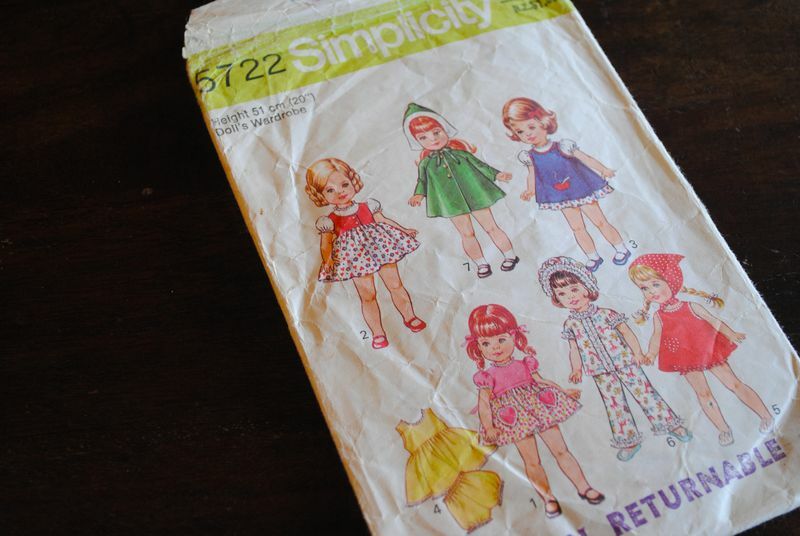 I’ll be going through mum’s pattern stash going back over 40 years next time I’m down there…. she might even have some fabric horded too…. The sewing machine always helps to make different kind of the designs and stitches as per your likes.I really like your creation on it. I agree with you, this machine is really helpful to done different kinds of creativity. Above share everything is perfect for me. I impressed by that. I appreciated you.